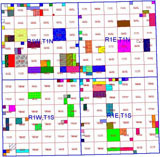 RockWorks has a number of utilities available to process and display your land grid data. 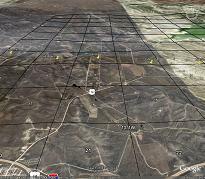 Use the free RockWare "Landbase" collection of Jeffersonian Township and Range data for portions of the United States (from the US Bureau of Land Management Land Survey Information System and other sources). Export your maps to Google™ Earth! Use the KMZ Export to create stunning and useful diagrams in Google™ Earth.